A family-owned company, Southern Supply has been serving Springfield and the surrounding communities since 1934. We’ve long been a supplier to the wholesale building materials industry, and recently expanded our business to include direct sales of building materials to builders, contractors, homeowners and designers. 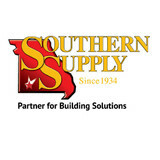 At Southern Supply, we make it our mission to provide you with the highest quality in building materials. From doors, windows and cabinets, to lumber and millwork, we are the solution for your building needs. Everything that Kerr Millworks makes is a custom, one of a kind product made to our customers specifications. You don’t have to choose you front door off an assembly line. We help you customize or totally design you entrance. You choose the size, shape, style, the wood species, the color, the grilles, glass, the panels and other design options. 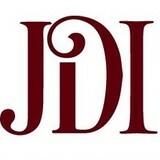 Formally Prestige Millwork, The Millwork Shoppe still features the same products and attention to details. 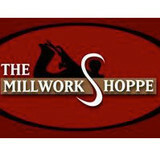 The Millwork Shoppe prides themselves on customer service, follow-trough and craftsmanship. Lock And Key Springfield have your services that you need in our service list. We offer commercial and residential service, and our Lock And Key experts in Springfield MO know their mission in every job which they provide. We can provide you locks Inspection service in your home and business and we always grow and strive to be the best in Springfield MO! When we meet with new comer, we can give them and show them a wide range of services, and we introduce them new products that might help them to improve their security standard in their home or business. Lock And Key Springfield - More then just locksmiths! From compromising your homes security to increasing heating and cooling costs, an improperly installed or damaged door can cost you. Exterior doors, such as front doors, need to be tough against the elements but easy on the eyes; interior doors need to blend in with your existing aesthetic, but also function well for each room they are selected for. Needless to say, door decisions can be daunting; luckily, door dealers and installers in Chesapeake, MO can help you select, design and install doors that are perfect for your home! What kind of services do Chesapeake door dealers provide? Door dealers are responsible for a variety of services, including door installation, replacement, door repair and custom door design. If you need a new door, Chesapeake, MO door dealers will help you determine what kind you need, as well as shape, color, size and more. From barn doors to French doors to front doors, these professionals can help you choose, install and maintain your door investments. Wood doors are beautiful, versatile and tend to be the most popular choice for both interior and exterior doors; they are easy to custom build, and include oak, cherry, walnut, mahogany, maple, fir and pine. Some standard wood doors have MDF cores wrapped in wood veneers, which minimizes the chances of warping as real wood expands when wet and contracts when dry. If your heart is set on a wood door but you think the Chesapeake, MO climate might cause it to warp, talk to your door professional about a furniture-grade veneered door. Aluminum doors have an insulated core and come in a variety of colors and finishes. With a baked-on enamel finish, they won’t rust or need repainting, and many come with a 20-year warranty. Next to wood they are the most expensive and have to be custom-made. A Chesapeake, MO door dealer can help you find a reputable aluminum door manufacturer. Find door dealers and installers in Chesapeake, MO on Houzz. 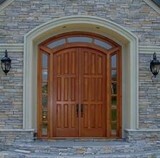 Look in the Professionals section of our website and search for Chesapeake, MO door dealers and installers. Read reviews, look at project photos and see how a pro can help with your home improvement project.